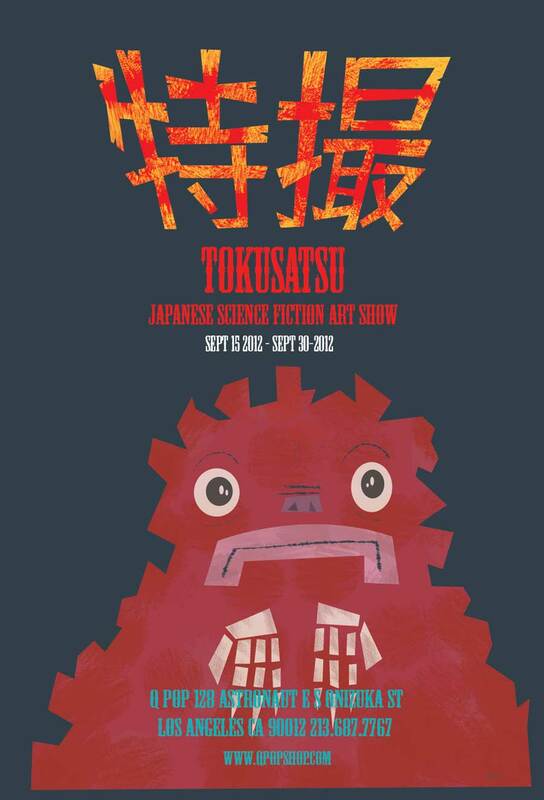 On Sept. 15th..Q Pop will be having a huge Japanese Science Fiction tribute art show. Over 100 artists will be participating. Some really Big names and some really great up-n-comers. Tokusatsu (特撮?) is a Japanese term that applies to any live-action film or television drama that usually features superheroes and/or monsters and makes considerable use of special effects (tokusatsu literally translates as "special filming" in Japanese). These include some of the most popular "Kaiju" characters like Godzilla and Gamera...as well as popular hero characters like Ultraman and Spectreman...or Giant Robo ( Johnny Soko & his flying Robot). Come to Q Pop and celebrate decades of science fiction films and television shows from Japan through the artwork of over 100 great artists. Guest DJ ??? who will it be? There will also be a kaiju Costume contest and prizes for the winners!!! !